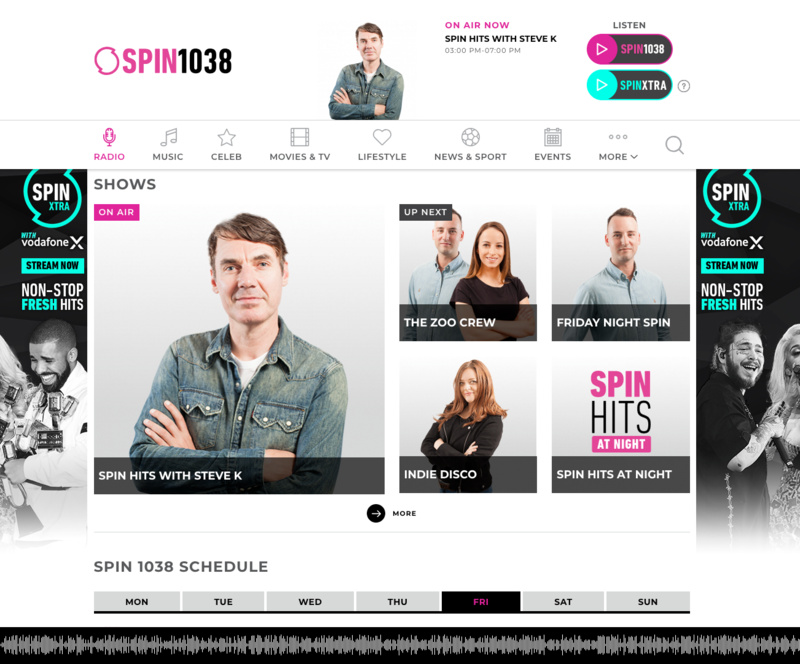 Broadcasting throughout Dublin and surrounding areas, SPIN 1038 always first with new music, entertainment news and content. 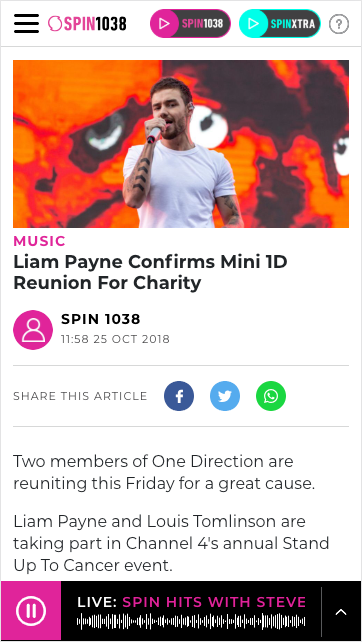 Over the last 13 years SPIN 1038 has held its original listeners and attracted new listeners who have grown up with the station and remain loyal to the station. These listeners are now homeowners, car owners, parents and young professionals. 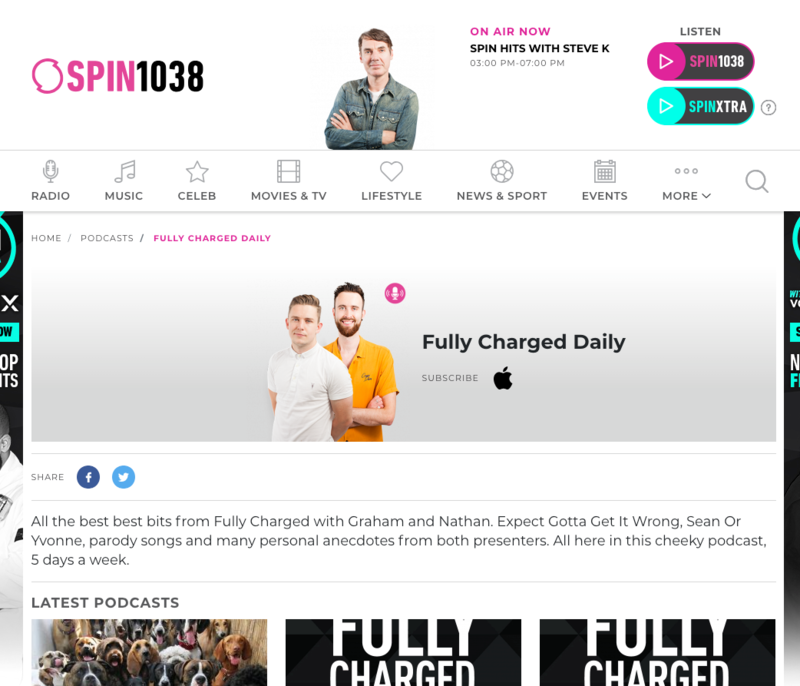 Square1 were commissioned by SPIN 1038 to design & develop a cleaner elegant aesthetic mobile responsive website with graphic elements, fonts and colours that were more be-fitting to the SPIN 1038 brand. 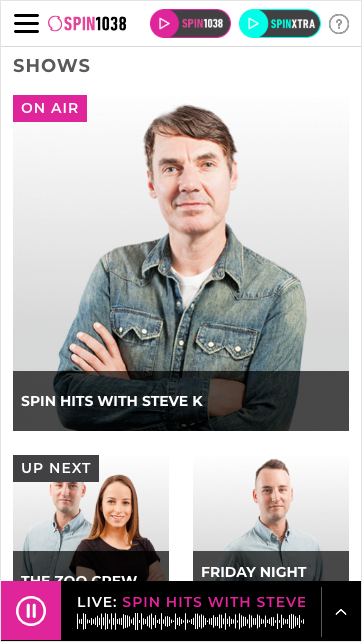 The new design and layout for SPIN 1038 is fully responsive across all desktop, tablet and mobile devices. 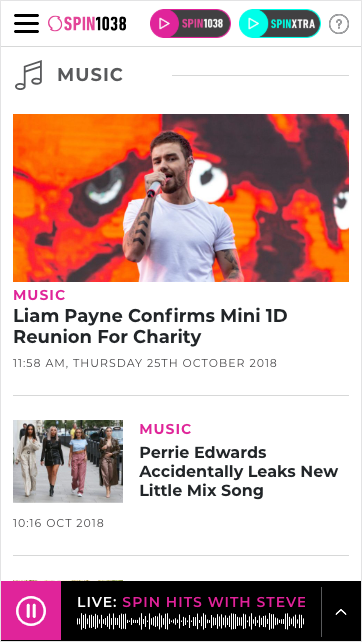 The new site is also fully integrated with Google DFP ad server. 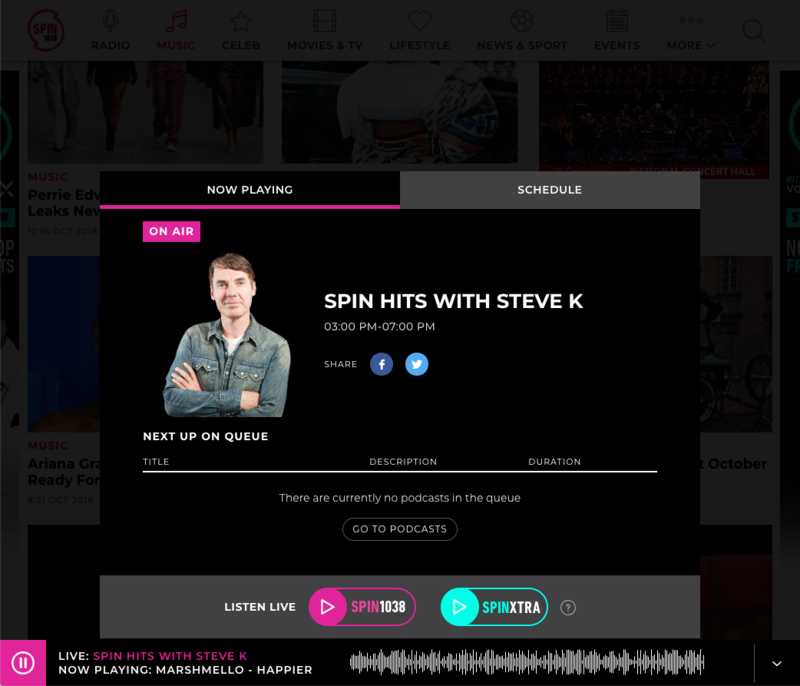 This allows the team at SPIN 1038 full control over site wide sponsorship integrations.